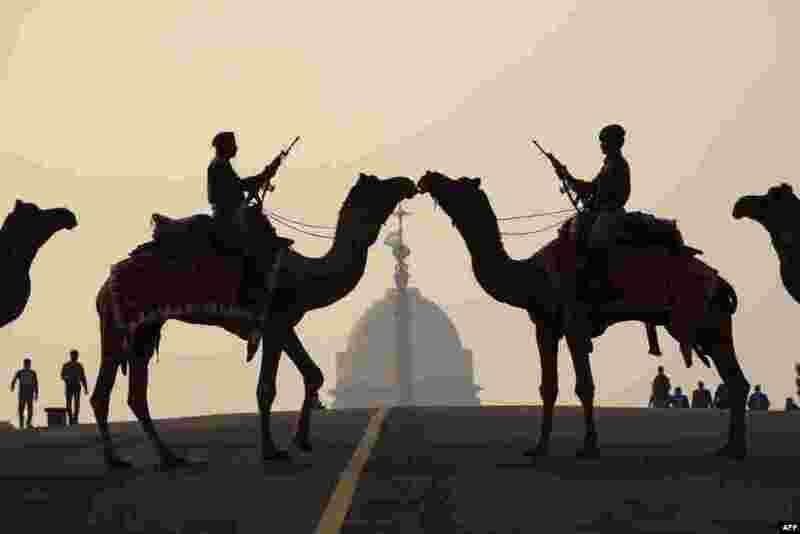 ١ Indian soldiers ride camels during a rehearsal for the 'Beating the Retreat' ceremony in New Delhi ahead of India's Republic Day celebrations. ٢ Ivanka Trump walks from Air Force One to a waiting vehicle upon arrival, as U.S. President Donald Trump boards Marine One in the background, at Joint Base Andrews in Maryland, U.S.
٣ A goose attacks an Orthodox believer as he leaves the icy waters of a pond during the celebration of the Orthodox Epiphany holiday in Kyiv, Ukraine. 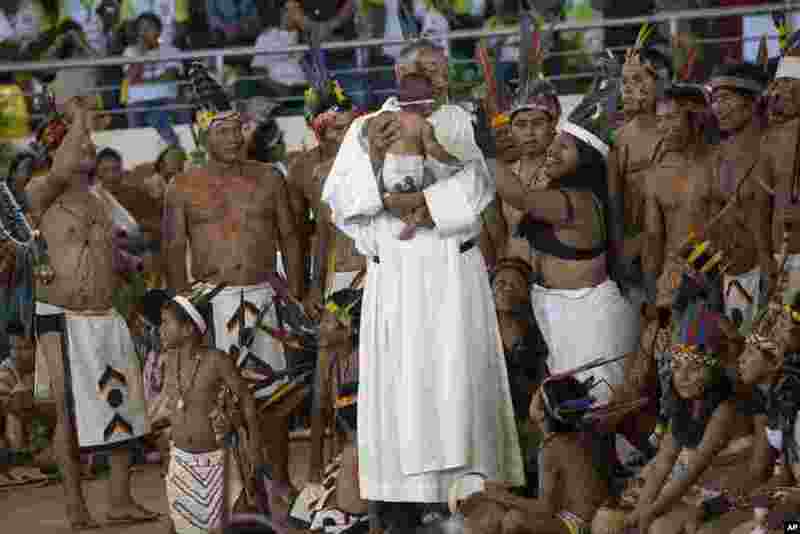 ٤ A priest holds a baby as clergy and indigenous people wait for the arrival of Pope Francis in Puerto Maldonado, Madre de Dios province, Peru.